Upstate New York restaurants can enable online ordering and seamless payment processing through Foodeaze. New York-based Foodeaze and PayJunction have partnered to provide payment processing for restaurants using Foodeaze’s online ordering platform. Foodeaze offers a combined service of food photography and online food ordering where hungry diners swipe through restaurant photo menus to place delivery and pickup orders. Swipe, order and eat. PayJunction uniquely offers a smooth and easy process for accepting online payments. With over 80 existing shopping cart integrations, an open API and a Hosted Checkout option, businesses requiring online payment processing can achieve PCI Level 1 compliance and reduce their PCI scope when partnering with PayJunction. PayJunction is an ethical payment provider with clear, transparent billing practices. PayJunction is also an all-in-one Payment Gateway and Merchant Account Provider, allowing e-commerce businesses to streamline their providers and eliminate their Payment Gateway bill. “We hope to continue to build additional partnerships with investors, other businesses and services that value the importance of corporate social responsibility,” Fattell said. 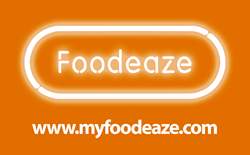 Restaurants and anyone else interested in partnering with Foodeaze can reach out by emailing contact(at)myfoodeaze(dot)com. Founded in 2000 by three UCSB graduates without a single dollar of outside investment, PayJunction has gone from bootstrapped to $3 billion in annual processing. At PayJunction, we believe in integrity over profits. We’re disrupting our industry with transparency and environmental consciousness. We process payments ethically.